An advocate for allowing concealed weapons on college campuses is the special guest at Republican Congressman Steve King’s annual fall pheasant hunt and fundraising dinner tomorrow near Akron. 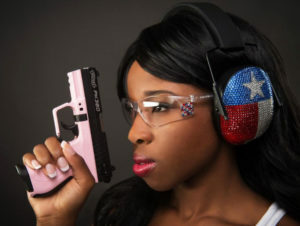 Antonia Okafor was regional director of Students for Concealed Carry on Campus in 2015 when the Texas legislature debated and later adopted a so-called “campus carry” law. King at last year’s hunt. Okafor is a graduate student at the University of Texas at Dallas and she’s currently running to become a member of the National Rifle Association’s board of directors. “She defends Second Amendment rights and especially for young women who are the ones who are the victims of these sexual predators that we’ve seen happen in Ames and Brooklyn and many other places around the country,” King says. 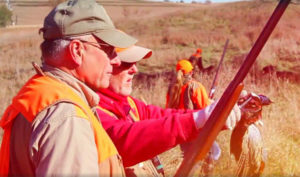 Donald Trump, Jr., Mike Huckabee and a long line of other former GOP presidential candidates have been the featured guests at King’s annual pheasant hunt and fundraiser. King faces Democrat J.D. Scholten this November. Scholten has raised twice as much money as King has during this election cycle.